Each finalist met Amazon’s basic criteria of a population over one million and an international airport. Amazon also prefers access to mass transit (e.g. subway), but as I wrote previously, mass transit is overrated—especially the dilapidated systems in New York, D.C., and Boston. And since Columbus, Indianapolis, Pittsburgh, and Miami lack robust mass transit it won’t be a factor in this analysis. Another way to get at the skill level of a city’s workforce is to look at the number of people working in high-skill industries. 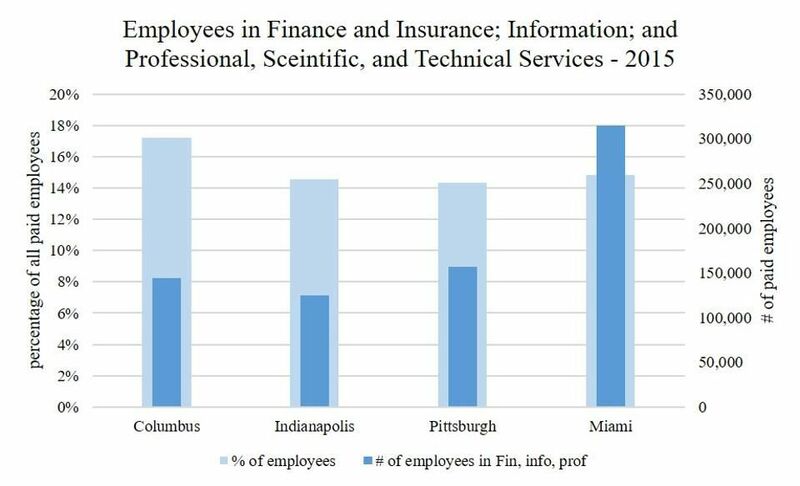 The figure below shows the number of employees and the percentage of all employees in the finance and insurance; information; and professional, scientific, and technical services industries. Amazon will need to hire some people away from other companies and these data give us some insight into the labor pool it will be drawing from. 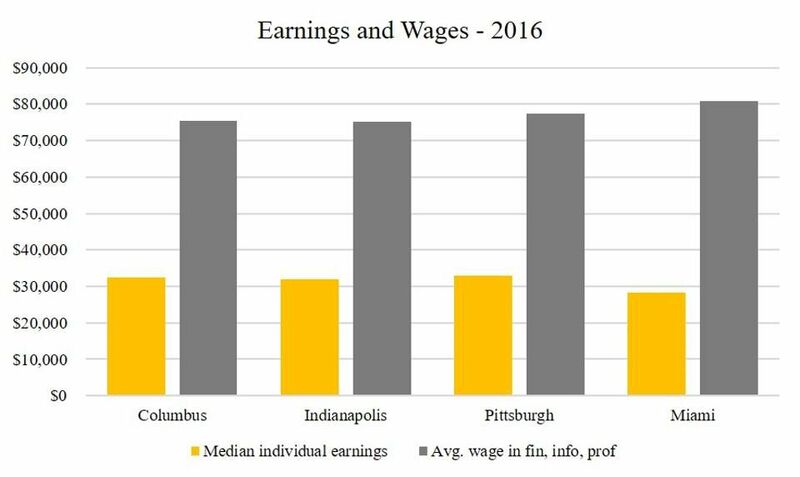 Columbus has the largest percentage of employees in these high-skill industries, but again the differences are relatively small. Miami’s size advantage is once again apparent as well: It has more than double the number of employees in these industries than the three Midwestern cities. 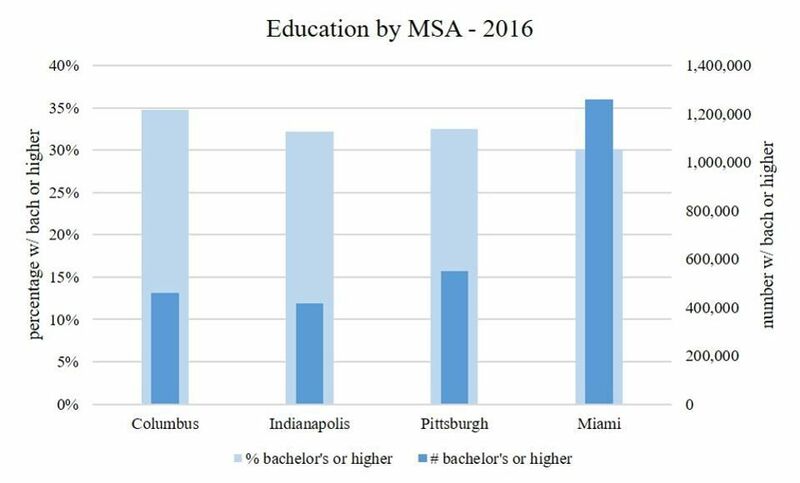 If overall workforce size is more of a factor than relative skill, Miami is clearly a better choice. Based on the data here I have to give the edge to Miami. The relative skill levels of each city are so similar that Miami’s size advantage is hard to overcome. Miami’s geography and climate are also pluses, as is its location in Florida, which is one of the most economically-free and fiscally sound states in the United States.